AMERICAN offers ductile iron tapping sleeves in sizes 4″ × 4″ through 24″ × 24″. 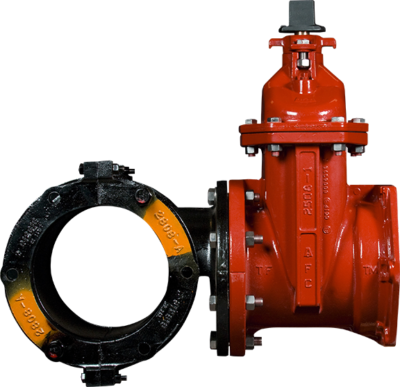 AMERICAN tapping sleeves are designed to provide an efficient means of connecting branch piping to existing lines. The Series 2800 is available in sizes 4″ × 4″ through 24″ × 24″ and 4″ × 4″ through 12″ × 12″ with mechanical joint ends for use on AC pipe. 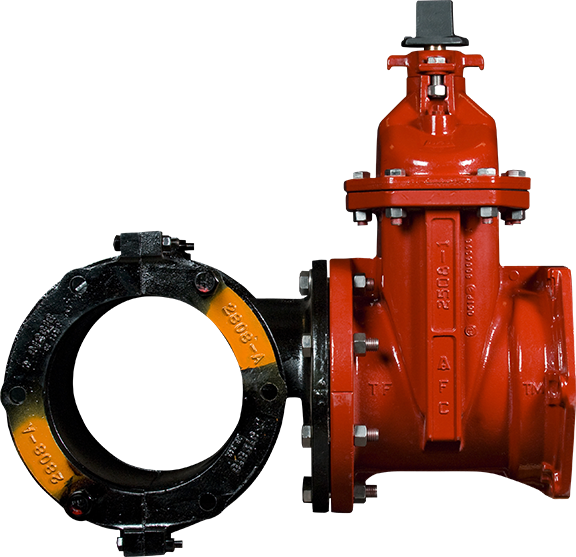 It is recommended that the tapping sleeve and tapping valve be manufactured by the same manufacturer to assure the proper fit of the alignment ring on the tapping valve with the recess on the tapping sleeve.